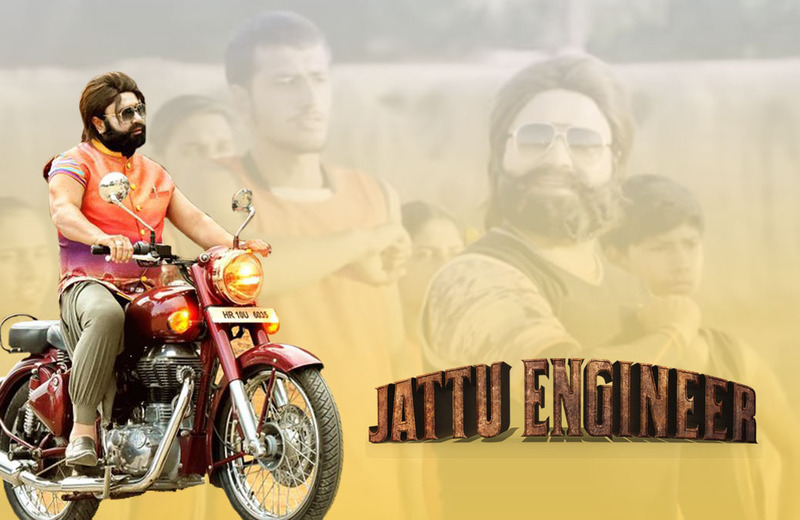 Jattu Engineer Movie Review - Film has all the powers to sway your blues away. This Friday, 3 big movies - Half Girlfriend, Hindi Medium and Jattu Engineer is clashing on the box office, here we are reviewing Jattu Engineer. It is often seen that when two or more movies from big banners clash at the box office, it is likely to face the heat for all, but Saint Dr MSG Insan has a highly targeted audience and a huge fanclub, so according to film analysts Jattu Engineer will emerge as a winner in this clash in the terms of collection. Jattu Engineer is a comedy movie with some social messages knitted in humor and drama. Saint Dr MSG Insan has done a double role in the movie. The movie has been directed by Dr MSG and his daughter Honeypreet Insan. The movie revolves around a backward village - Tattiyakar. The movie shows Dr MSG Insan as a protagonist in the role of a school teacher who blows the wind of change reforming the lives of villagers. The ones who have missed on Saint Dr Gurmeet Ram Rahim Singh Insan’s brilliant performance in Hind Ka NaPak Ko Jawab in the comedy bits should definitely see it. In the last film, he bashed Napakis with some power-packed action and dialogues. Jattu Engineer sees him in the double role as a reformist and a mischievous young man who spreads the laughter all the way in movie. The Father-Daughter Duo has done a fabulous job in detailing the characters, the village Sarpanch, the actress and the naughty boy Sghaint Singh Siddhu have their own styles that amuse the audience with their unabashed panache. While we look at the actors in this film, most of them are fresh faces, but the way they have delivered their dialogues effortlessly, one can not guess that they are acting for first time in their lives. Saint Dr MSG Insan is the only filmmaker who dares to work with new actors and unknown faces to groom them. Jattu Engineer is a great mix of gripping story, rib-tickling humor, and hair-raising climax. The set designed in the movie appears so real in details and surprisingly everything from set designing, script writing to the shooting was done in just 15 days, that has earned a record for Jattu Engineer in Asia Book Of Records. The story progresses as the Headmaster teaches a lesson to the Sarpanch and villagers having youth of the village joining his side for upliftment of the village. There are two songs in the movie - Holi Ki Pichkari is a dance number and other song Josh Mein Hosh Mein is a sports anthem to encourage the sportsmen. Saint Ram Rahim's previous movie Hind Ka Napak Ko Jawab has done business of around 450Crores on the box-office and is still running in some parts of North India, but the Saint says that the true success of the movie was seeing the true colors of patriotism in the audience after watching the movie which was somewhat lost years ago, it's the result of the movie that we are seeing more Indian Flags in the last 2-3 months without having Independence Day or Republic Day. In fact now days, wherever the Saint goes, fans are seen carrying National Flags. There is one more special thing about the MSG movies, large amount of profit is used for social works, profit of MSG The Warrior Lionheart was used to make the first skin bank of North India and of its sequel Hind Ka Napak Ko Jawab is being used for making the bone bank in Dera Sacha Sauda. Jattu Engineer Box Office Collection: The collection figures are not available right now, but film critics are predicting that having a huge fanbase, Jattu Engineer will make an entry to 100 crore club soon. Jattu Engineer is gonna perform well on the big screen just like the previous MSG movies, we wish FDD good luck for their idea of making people laugh through pure healthy comedy along with social messages.